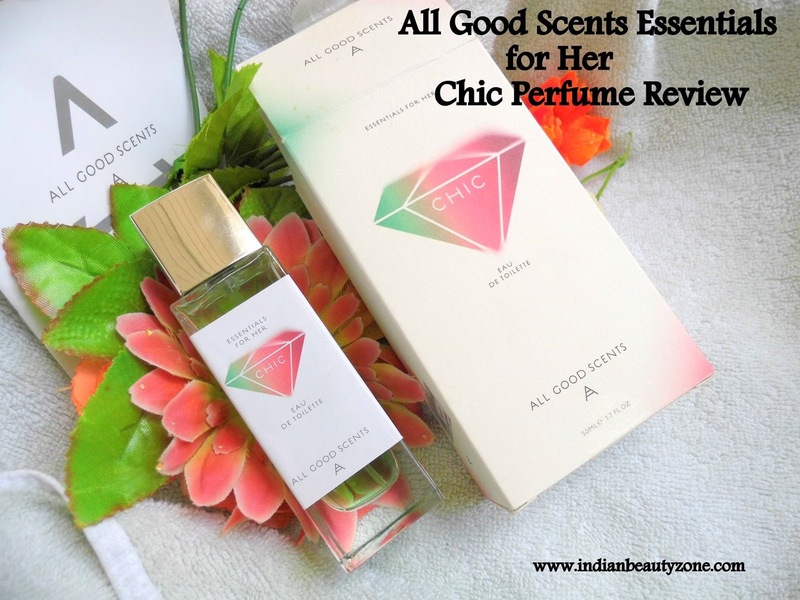 All Good Scents is the first contemporary perfume house in India. Rajiv Sheth the perfumer behind All Good Scents, finds inspiration in all aspects of modern French perfumery and his multicultural experiences. The Fragrance producer of All Good Scents is one of the oldest fragrance houses in activity in Grasse, France, founded in 1779 AD. An extraordinary of a successful story and a human dimension. they have produced 1500 tons of fragrances and flavors till date. with all their combined savoir-faire. All Good Scents brings the best of the world to the world to the Indian consumers. Contemporary, modern and perfume fragrances manufactured in France and that too at inviting prices. Fragrance: Ethyl Alcohol, D.I. Water, Diethyl Phthalate, Colours, Alcohol (95% V/V): 80% v/v contains 1% w/v Diethyl Phthalate. The packaging looks so impressive, it's a glass bottle in the shape of long square with a cubical press close type silver lid to protect the pump dispenser.The packaging looks stylish and luxurious and simple at the same time. Since it is a gloss bottle it is your choice to carry with you if you can handle it carefully. The perfume is simply matching to my expectations like I wanted a perfume that should be not so strong smell and not so mild. The name of the perfume is "CHIC" . The perfume liquid looks fresh green in colour inside the bottle as the gloss bottle is transparent you can see it visibly. The smell of this perfume is not related to any fruits or citrusy smell. 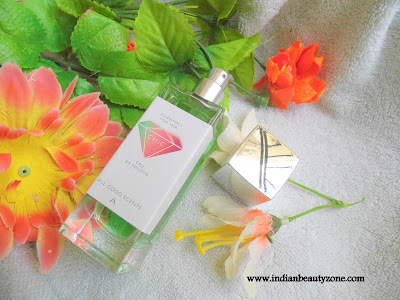 I cannot remember the name of the flower, but this fragrance of this perfume related to that flower which is not easily available in India. It is mild to moderate and can sensed by others easily but it will not be a annoying smell rather people might like your presence because of this scent smell. This smell last long for the whole day and will roam around you through the air. Only few sprays here and there on you will make your day pleasantful. The smell is so fresh and can make your mood refreshed and pleasant all the time. I really love this fragrance and I am using this perfume almost daily, I used to this smell, almost addicted. For this price the quantity and quality of the perfume is really worth to buy. A Fragrance that is made from French's Ancient old scent factory is something awesome to use. 1. It is affordable and has long shelf life. 2. Only few sprays makes your day pleasant. 4. The smell is mild and can stay on you whole through the day. 5. Simple and neat packaging.